I've written ad nauseum about the history of the Merkur and how Ford really dropped the ball with this car, so I'll skip it here. 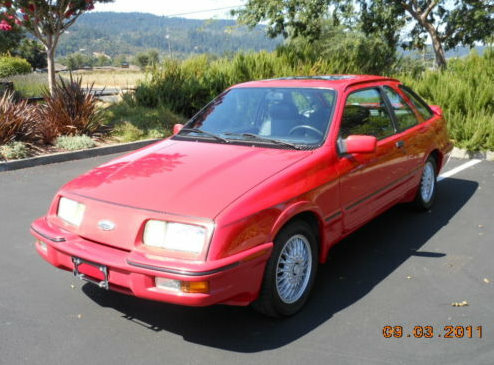 This is a very nice, very clean, one owner Merkur XR4Ti. 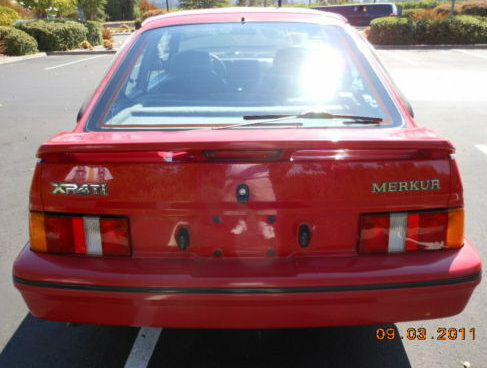 If I were in the market for a Merkur, this would be the one I'd want. Except for an aftermarket stereo, this car is stock. It's been given regular, routine maintenance and appears to be in very nice condition. 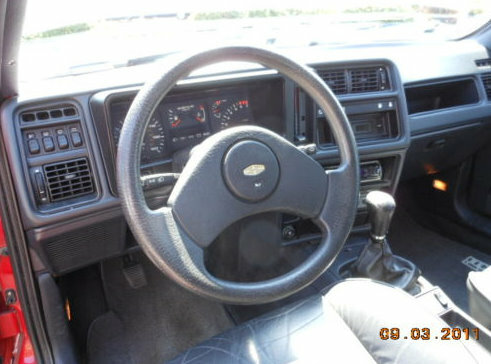 The seats have a couple of split seams and the tach doesn't work, but all-in-all this is a buy today / drive today car. Early XR4Tis had the bi-plane spoiler, but this later car has a single wing spoiler. The bi-plane spoiler was an interesting touch, but I prefer the cleaner lines of the single wing spoiler cars. The XR4Ti had a few annoying - but not disabling - problems when it was introduced. By the time this car was built most of them had been cured. Those that weren't were later cured by owners and the aftermarket. The seller is using it as a daily driver and there is no reason the new owner couldn't do the same. Santa Rosa, CA, click here to see the eBay listing. I was looking for one of these for a while but in this area only found ragged out examples. The one I actually got to drive was a total mess but I'd still like to take a decent runner for a spin. @midelectric: If you buy it, I'll pick it up and drive it to you, free of charge. It's in the Bay Area. Thanks for the offer Kashgar, I would seriously consider it had I not bought my third Milano Verde a month ago. I guess old habits die hard.